← A Needle Felted Beluga Whale . . . Smile! A blowfish, pufferfish, balloonfish, bubblefish: should I continue? This little creature is SUPPOSED to resemble a blowfish. 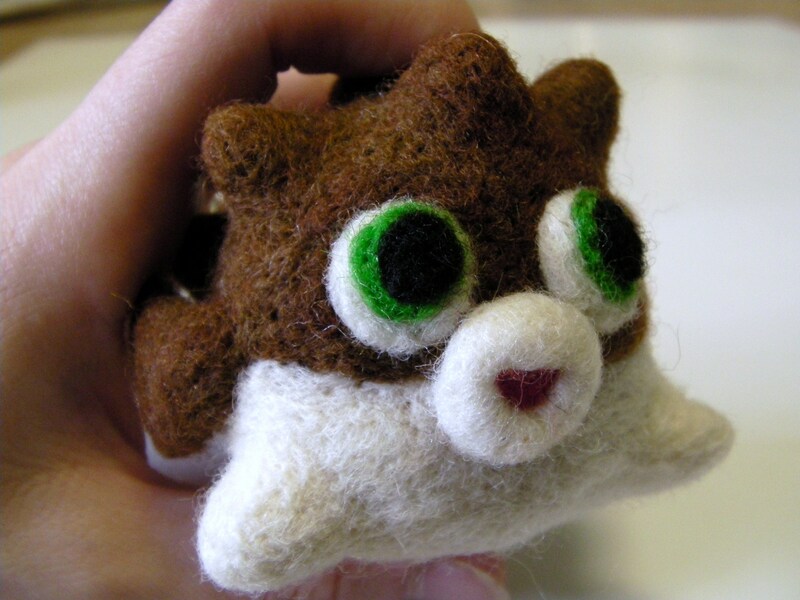 I’m not sure if I was successful in that; however, this felt toy does have a cute factor. When I finished this toy, I showed it to my children and had them guess what it was. My son guessed a starfish; to be fair, I don’t think he has ever seen a blowfish. My oldest daughter said “pufferfish”! At that moment, I thought “SUCCESS!”. That moment was short lived when she began instantaneously telling me other creatures it could be, for instance a porcupine. 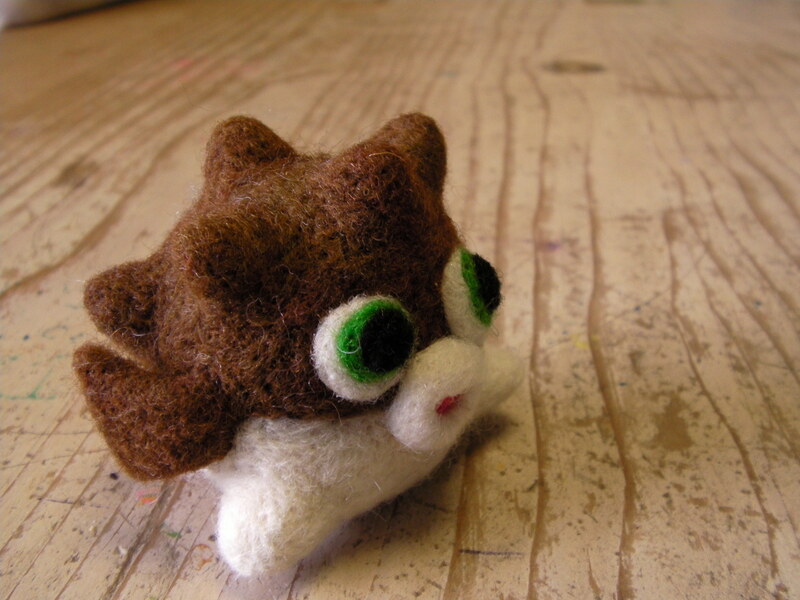 The truth is creating felt toys is all about imagination and this little toy can be anything you want it to be! I have fond memories of visiting my grandfather who lived awful close to the Florida beach; he had a “skeleton” of a pufferfish sitting on his dining table. I loved to pick it up and inspect it carefully. Making this toy for my ocean collection reminded me of sitting at that table with my grandad next to me and him pulling out sea relics that he had collected over the years. Shark skin, fish skulls, shark skulls, seashells and this pufferfish “skeleton” were among the things he shared with me. And now I’m sharing it with you in a much softer, sweeter, toy version! 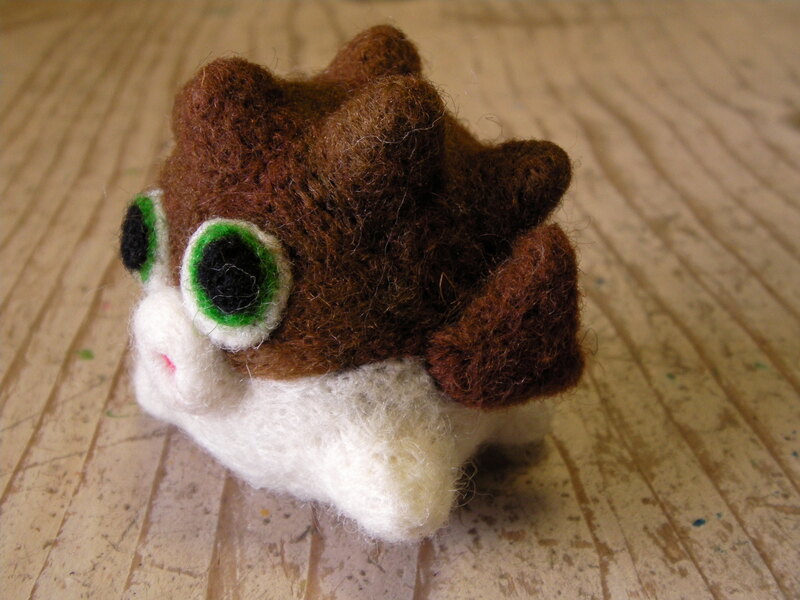 I hope you enjoyed my felted blowfish, pufferfish, balloonfish–you get the picture!